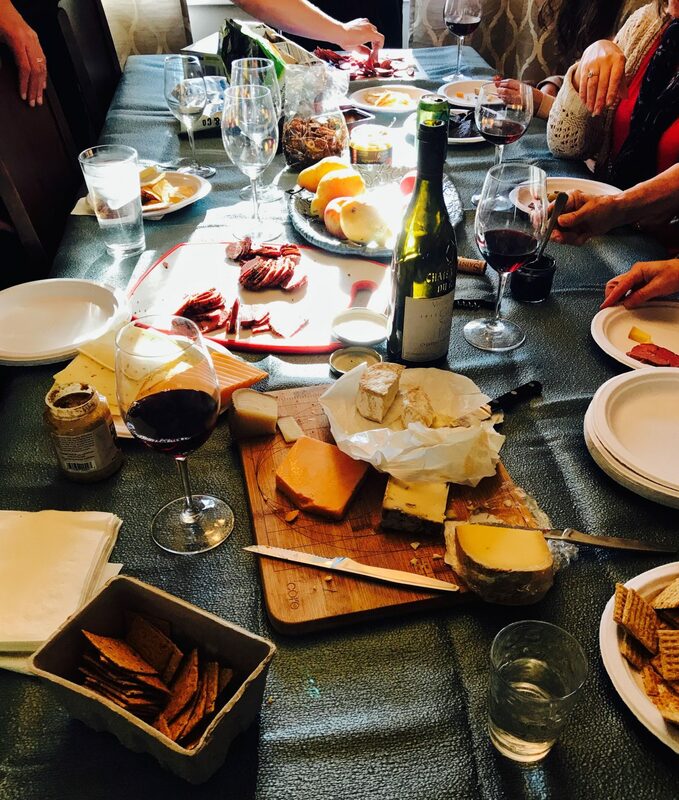 Years ago, on a crowded night in the French Quarter, we had no reservations for dinner and seemingly no prospects of eating anything worthwhile, having been firmly rebuffed by every hostess desk within walking distance of our hotel. All, that is, except for Galatoire’s. With its “no reservations” policy for the downstairs dining room (and that is the place to be), you’ve got an equal opportunity shot of getting into Galatoire’s. That night the wait was not too bad, and we were seated after John was directed to choose a jacket from their collection (It’s the only place in town that still requires a jacket.). 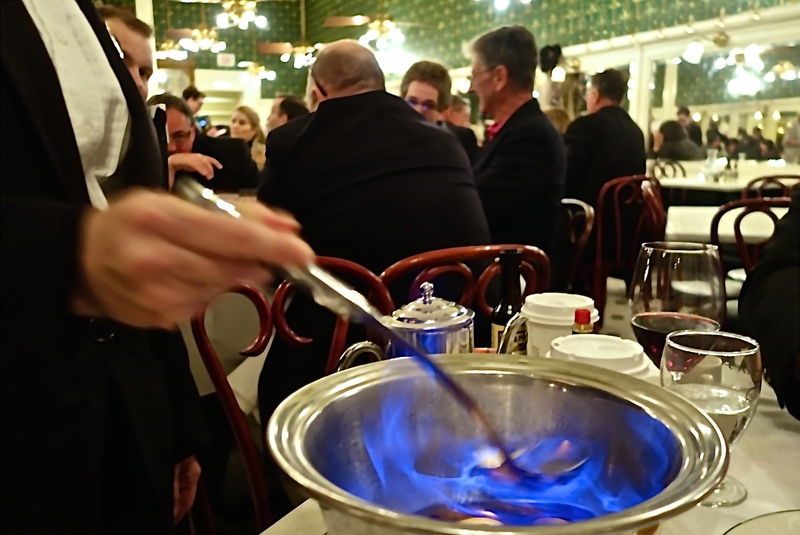 I’ve always thought of “the jacket thing” as the way that Galatoire’s puts you on notice: Sure, this isn’t 1952, but if you want to experience our classic atmosphere and food, you’re going to do it on our terms. The jacket was about 3 sizes too big and definitely could have used a dry cleaning (Which seems to be another message to customers: Next time you dine with us, bring your own jacket, please. ), but this was a small price to pay in order to dine at one of the “Grand Dames” of Creole-French cuisine. The meal that night was wonderful. 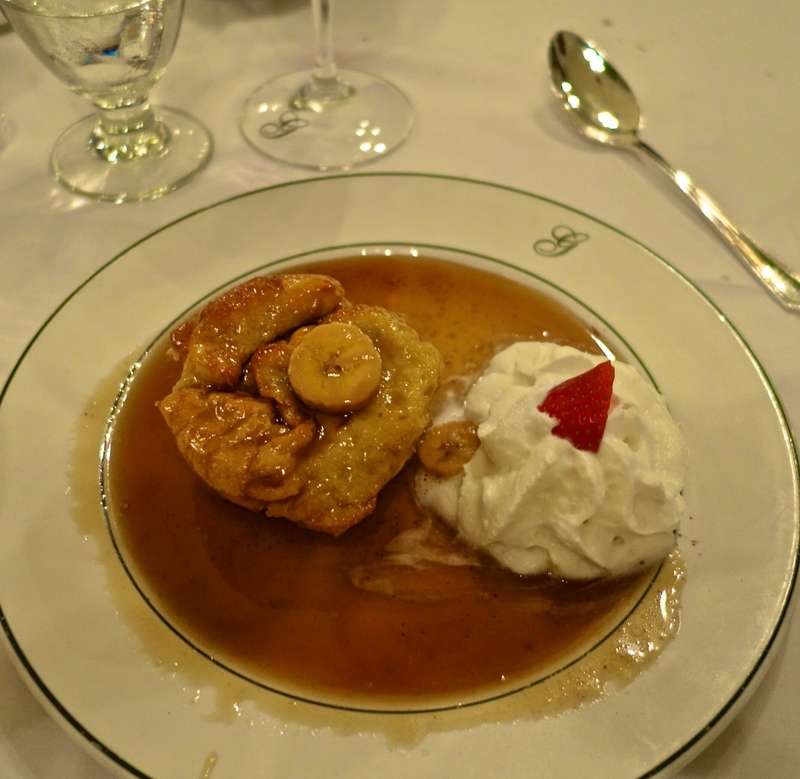 Last week, we took our daughter to Galatoire’s for the first time, and it was still as memorable as ever. Nothing seems to change in the downstairs dining room: bright white tiles, green and gold wallpaper, mirrored walls, bare-bulbed ceiling fans that look like they’ve been hanging there since the doors first opened in 1905. Calvin Trillin once called it the kind of decor you’d imagine finding in a very fancy barber shop. Galatoire’s is often loud, but loud in that convivial sort of way that is jolly and charming instead of obnoxious. The waiters are neither servile nor aloof. Most of them have been with Galatoire’s forever. (Waiting tables at any of the best restaurants in New Orleans is a revered position.) If you’re a regular here, you and your family have your own waiter, probably the same one you’ve had for the last 20 years. My favorite way to kick off a fabulous evening at Galatoire’s is with the Galatoire Goute appetizer, which is a rich sampler platter featuring three of their best seafood appetizers. The platter can change somewhat, depending on what time of year you visit and what fresh seafood is available. 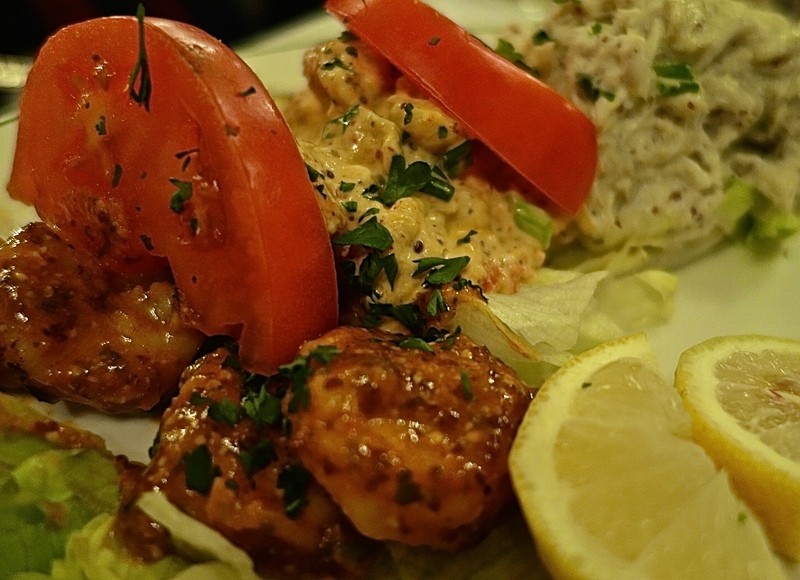 Ours consisted of the crawfish maison–made with Creole mustard, greens onions, capers and lemons; the shrimp remoulade and the crab maison (known elsewhere as crabmeat ravigote)–a mayonnaise, Creole mustard and vinaigrette sauce made with capers, parsley and lemon. If you order the Grand Goute, you get the oysters en brochette as well. 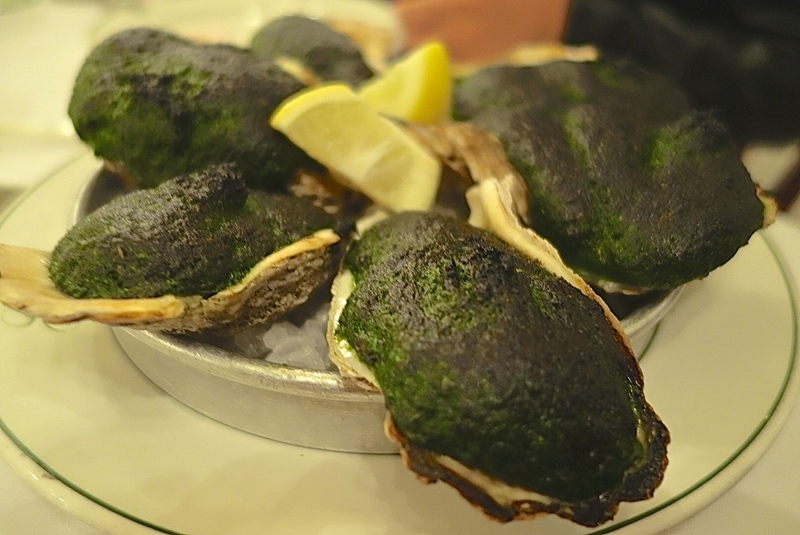 We skipped the oysters en brochette so that we could sample Galatoire’s rendition of the Antoine’s Restaurant classic, oysters Rockefeller. The Galatoire’s version is an electric green spinach mixture that gave us pause at first sight. But as soon as we tasted a forkful, we were hooked. Even after finishing off the oysters, we found ourselves returning to the shells to scrape up every last bit of the topping. 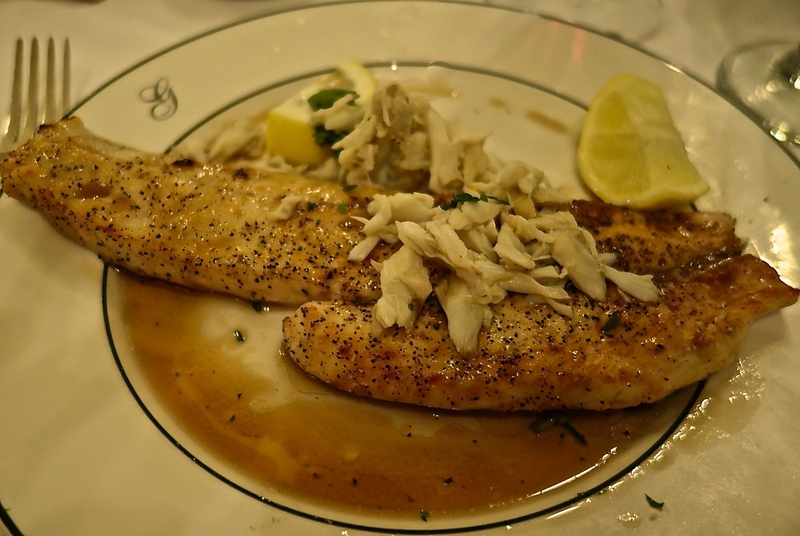 Galatoire’s does great fish, all fresh catch served in classic Creole preparations. My favorite fish here, the pompano, was not in season, but the redfish was almost as heavenly, cooked a la meuniere–a simple, rustic preparation in which the fish is dredged in flour, then sautéed in butter, lemon and parsley. On request, the fish is topped with fresh crabmeat. 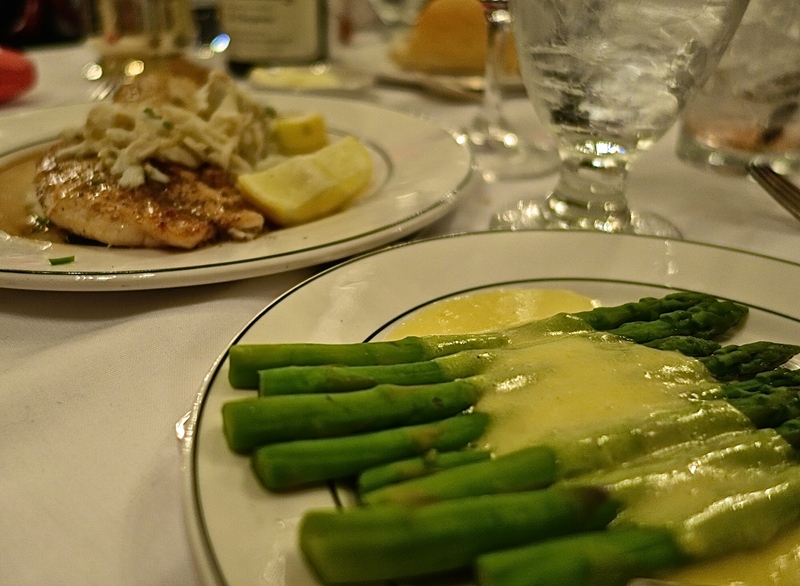 We ordered steamed asparagus, which would have been fine all by itself at any other restaurant, but at Galatoire’s the spears would have seemed naked without a cheerful blanket of bright, creamy Hollandaise. The restaurant has an extensive, meandering wine list, full of Old World offerings, lots of fun to peruse, though the majority of bottles are quite astoundingly expensive. At around $150 a bottle, the lovely 2011 Domaine Denis Mortet Marsannay Les Longeroies Burgundy we ended up ordering was a comparative bargain. We usually skip the dessert and go straight for the coffee, but tonight, since our daughter was with us, we asked for three spoons and an order of bread pudding with banana sauce. It came to us all golden and warm, with a mound of housemade whipped cream that was slowly trickling into the warm sauce made with praline liqueur and sliced bananas. The old school, grand spectacle of the evening was the cafe brulot preparation. 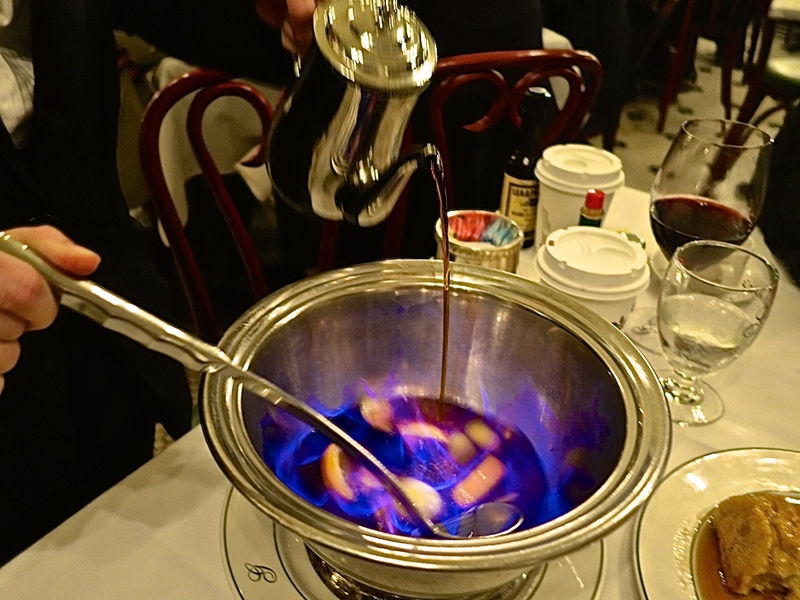 Blended with cognac or brandy, cinnamon and cloves, sugar, and orange and lemon peels, the strong coffee is flamed in a dramatic sequence of pouring and ladling just before serving. If you’re looking for trendy cuisine, this is not it–there are no abstract plating techniques, no novelty ingredients, no modernist meat foams. Conversely, if you came to the French Quarter to drink fluorescent green tourist drinks out of plastic cups on Bourbon Street and eat nondescript food that you can find at any mainstream seafood restaurant at home, then don’t eat here. Galatoire’s knows that it does not have to be either of these things. It’s a restaurant that’s confident in what it represents and what it’s offering. 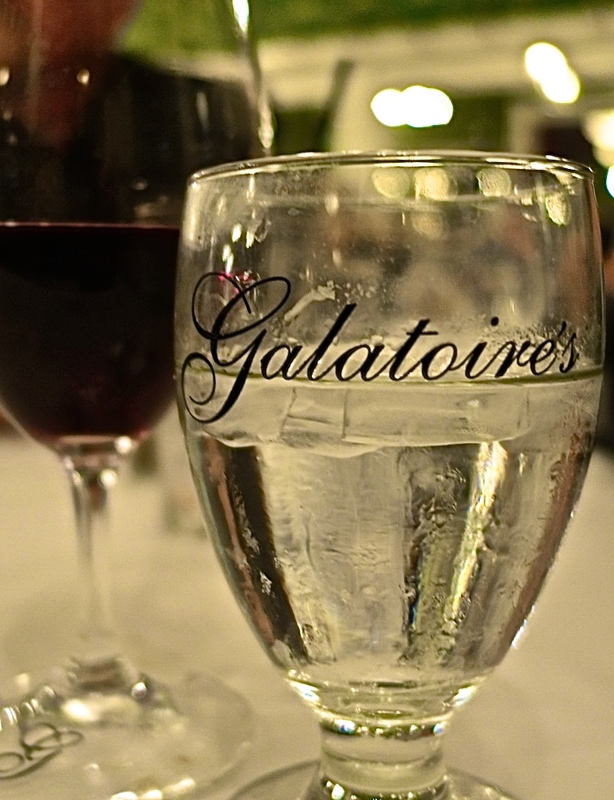 Just like the required jacket, if you want to know the essence of New Orleans, you’re going to put Galatoire’s on for a little while and do it their way.